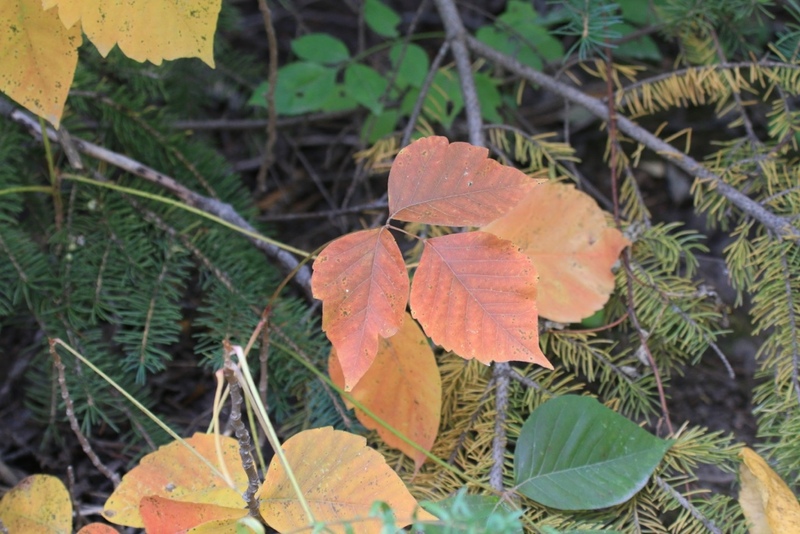 When we first moved to Northumberland County, Ontario 19 years ago I knew very little about poison ivy except for the old saying “leaves of 3, leave them be.” I learned about it soon enough. 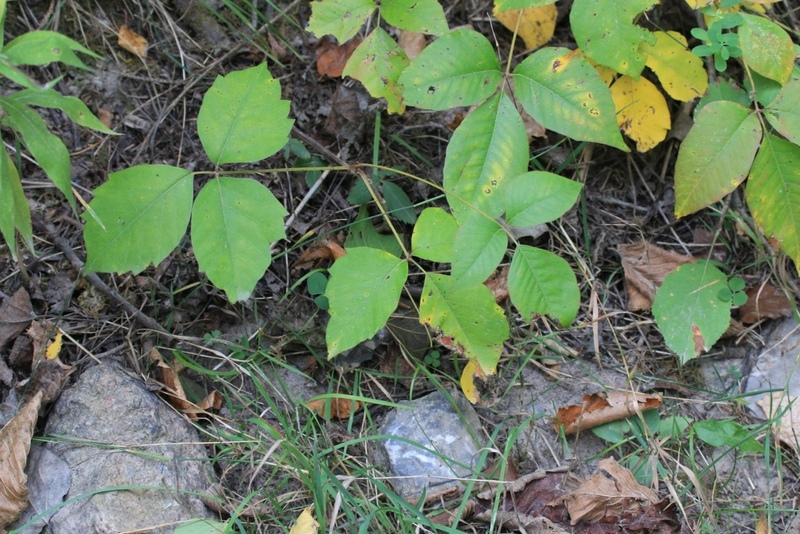 Northumberland County is covered with luxuriant poison ivy! To say it is widespread is an understatement. I spent much of my first summer here covered in itchy sore blisters from charging around in the bush with no regard for what lay underfoot. Nowadays the word “paranoid” has been used to describe my relationship with poison ivy. I would rather characterize it as healthy respect. I’ve learned a lot! And one of the main things I learned about poison ivy is that it is NOT ALL BAD. We are the only creatures who are allergic to the oil in poison ivy. Forest critters run through it with wild abandon, and so can our dogs. 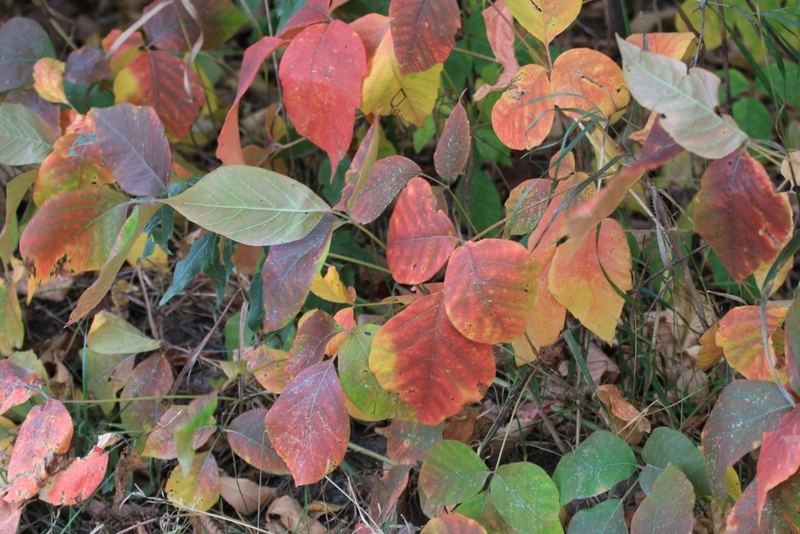 Poison ivy is native to North America and is an important food source for many birds and animals. 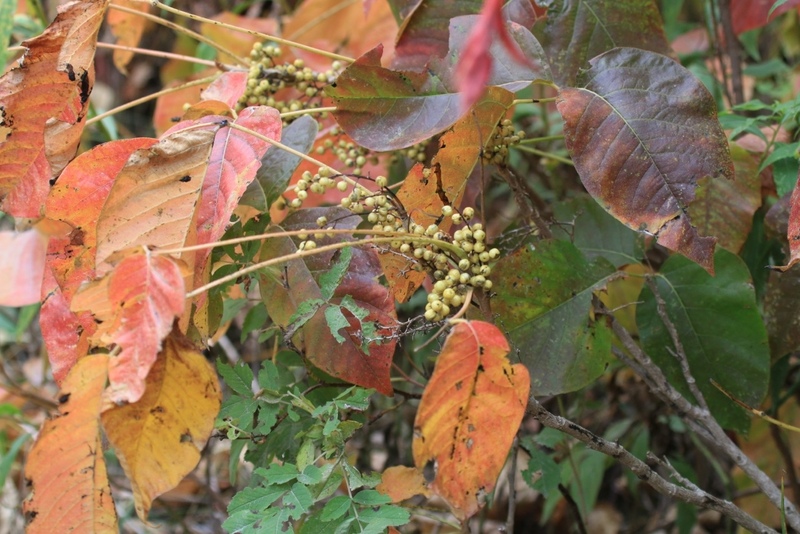 Over 50 species of birds are known to eat the berries of poison ivy. It is the berry eaten by more species of bird than any other. Ya, I eat it too. 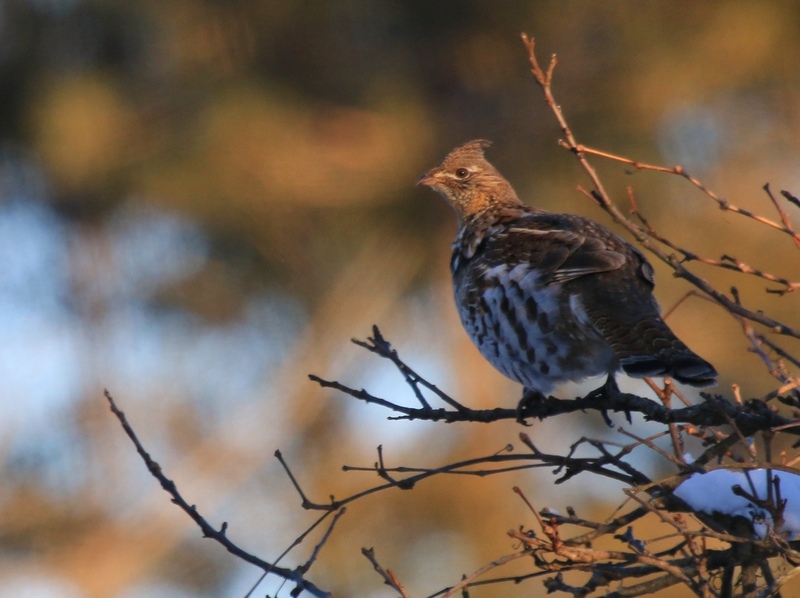 Because the seeds are not broken down in the digestive system, birds and animals widely disperse the seeds all over the countryside. 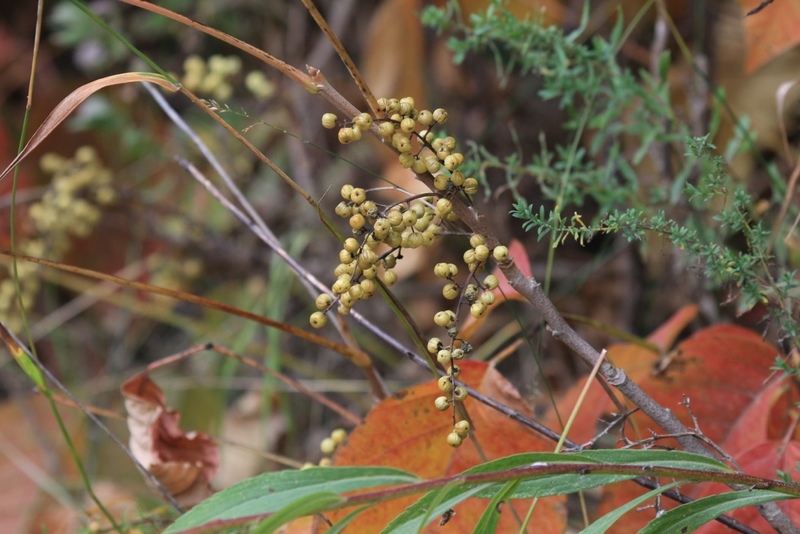 It is one of the main understory plants in the woods around my house. How much would you pay for a pot of this? I have read that Poison ivy is valued as an ornamental in Europe, and is sold in garden centres and planted in gardens. It is lovely this time of year, but really come on! Everyone around here has a poison ivy story. Some of them are quite funny. In retrospect. The most terrifying thing I have seen is poison ivy berries being used in a fall floral arrangement at a meeting of our local garden club. A judge was talking about the arrangement and touching various elements with the end of her pen. She had this little habit of putting the pen up to her lips when speaking. I watched this repeat itself a few times and then couldn’t stand it anymore and walked up to her and said “Those are POISON IVY BERRIES!” Nooo…. I have another friend who used the berries to make a wreath for her front door. Her eyes were so swollen the next day she couldn’t go to work. Perhaps the weirdest story comes from earlier tonight when I was researching which birds and animals ate poison ivy. I typed “What eats poison ivy? into Google and I got this video as my top hit: man eating poison ivy to become immune I’ll leave it up to you whether you choose to follow this guy’s advice. eating poison ivy, poison ivy. Bookmark.